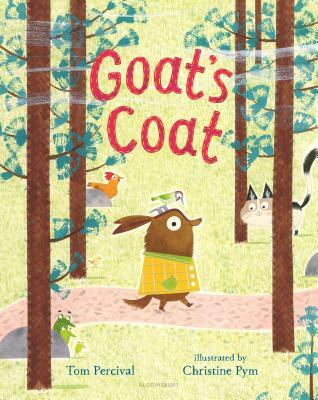 This charmingly illustrated rhyming picture book about Alfonzo, a goat with a very special coat, celebrates the power of kindness and friendship. who was terribly proud of his lovely new coat. Alfonzo was happy; he pranced and he skipped. Then he heard a sad noise, croaking out of a ditch. Alfonzo couldn't be happier. He just got an amazing new coat, and he feels like a million dollars. But when he discovers some creatures in need of help, will Alfonzo be able to give up his treasured possession to save the day? This great big hug of a book shows that kindness is definitely the best recipe. Tom Percival writes and illustrates picture books and has also produced covers and internal illustrations for the Skulduggery Pleasant series. He grew up in a remote and beautiful part of South Shropshire He now lives in a far more conventional building (a house), with his girlfriend and their young sons.